Many senior business managers relish the opportunity to tap into the minds of great leaders. As more figures like Sir Alex Ferguson enter the world of teaching, the demand for executive education programmes continues to grow. Chris Godfrey speaks to Professor Maurits van Rooijen, CEO and rector of London School of Business and Finance (LSBF), and Richard Hytner, deputy chairman of Saatchi & Saatchi Worldwide and associate professor of marketing at LSBF, about why business leaders should take advantage of such courses and the fresh perspectives they offer. After retiring from a managerial career that spanned nearly four decades, Sir Alex Ferguson has now turned his attention towards teaching those more likely to sit in an executive boardroom than on a substitute's bench. Since May this year, he's formed part of a new Harvard Business School module titled "the business of entertainment, media and sports". When you consider the Glaswegian's unprecedented trophy haul, renowned 'man-management' style and reputation as one of the most successful and respected managers in the history of football, it's easy to see why the institution was eager to christen him their very own marquee signing. For many universities, bringing in senior figures from unconventional backgrounds to discuss business is an increasingly popular trend. Though Ferguson may not possess the advanced theoretical business acumen chief executives may be looking for, many of the skills he gained throughout his career are wholly transferable. And for Dr Maurits van Rooijen, rector and CEO at London School of Business and Finance (LSBF), having figures like Ferguson present to business executives is a no-brainer. "In the early stages of business education it's primarily about knowledge and skills, but as you advance in your career it becomes a very different story," he says. "How you deal with challenging circumstances and management issues, how to create teams out of exceptional but egotistical professionals, how to cope with the physical and mental demands of your work, the highly stressful situations and intense media scrutiny - these are all areas leaders like Ferguson have experience in; they're as applicable to business as they are to sport, or any other field." The new perspectives and unconventional wisdom that figures like Ferguson can impart to business executives is seen by many as invaluable. Politics, entertainment, the police and the military - rising to the top of any of these fields requires the same level of commitment, confidence and resilience required to succeed in more traditional business. The experience of those who've navigated these fields - and the mistakes they've made along the way - are a gold mine for business executives to plunder. "Success in business is very much about attitude and confidence, so in that respect there are far more similarities than people might think," says van Rooijenk. "What makes you successful is the same whether you're a top sportsperson or an artist, and you can learn so much from listening to someone who talks from their own experience rather than a theoretical concept. The crux of learning isn't just about getting a qualification; it's something you should continue to do throughout your career." Despite this, a stubborn culture of denial persists, causing some executives to under-appreciate education and lectures given by iconic figures outside conventional business sectors. There are also those who downplay its relevance by pointing to entrepreneurs who dropped out of college and still made millions, who simply feel luck is the main factor for success, or believe that talent alone will be enough to get them there. "Of course it's true that you need talent and luck to succeed, but education is the tool that stacks the odds in your favour," says van Rooijenk. "When you go to a golf course, you can hit a hole in one without any training but the likelihood that you're able to do so is significantly smaller than if you'd had lessons or practised your swing. You also have to be aware of the fact that you're not just born with talent and that's that - it's something you can work on all the time." For Richard Hytner, deputy chairman of Saatchi & Saatchi Worldwide and adjunct associate professor of marketing at LSBF, having healthy doubters who scrutinise certain ways of thinking is a positive thing, so long as they don't cross the line into cynicism. "There's no room for sceptics in business, and there's certainly no room for them in the classroom," he says. "For those who don't believe in classroom learning, who feel that as an entrepreneur they're too busy, I'd simply say 'that's absolutely fine, you carry on and one day you will wake up to the reality that you're burnt out, void of ideas and the world's moved on'." In a turbulent economic climate, where the majority are facing customers who demand more for less from businesses, finding ways to work smarter, and pioneer new ideas is crucial. Expecting to achieve this simply by copying competitors, though, is unlikely to yield exceptional results; if anything, it will only perpetuate stagnation. Unique ideas and fresh perspectives can be found by engaging with individuals in other industries, even in those that may seem obscure. The importance of learning from diversity shouldn't be downplayed. "I think the joy of executive education is being forced out of your own industry, and making connections with other worlds, because there's just so much there," says Hytner. "You can learn so much even from the leaders in Shakespeare's plays; if you look at the kind of support staff they had around them, for example. "Great leaders need people around them who are prepared to say the unvarnished truth, like the fool in King Lear. If you look at Sir Alex Ferguson's situation, I think in David Gill he had someone who was incredibly honest with him and prepared to highlight his errors. To some extent, he even had Shakespearean fools in [assistant managers] Steve McClaren and Mike Phelan, who would make him laugh at the right moment. I'm not suggesting for a moment though that Ferguson was King Lear." Similar inspiration can be found in the world of art, according to van Rooijenk, where creativity has the power to make us think, open our minds and encourage discussions. The links may appear tenuous to some, but broadening horizons and challenging the current cognitive models is part of the appeal of attending education programmes. This creativity is found not just in the exploration of art and literature but also in the students themselves, who are as valuable to the course as the curriculum. "In one programme, I've been in a classroom with a brain surgeon, someone from the civil service, engineers, medics, and more. You get an incredible array of people," says Hytner. "It forces you to use your imagination and make the connections; it may feel like a distant analogy but when you're suddenly thinking 'how does my job compare with someone in the military?' or 'how would they do my job? ', it unleashes a wave of creativity in your mind and disrupts the old pattern of thinking. "Business executives should truly hunger for these courses. The more experienced you are, the more you need them because of the biases you've built up, the assumptions you make and the fact you probably don't think too hard about a lot of decisions. You put more walls up and worship false gods. But there's a lot you can learn from people beyond business. I'd encourage serious thought into deliberately surrounding yourself with those from beyond the business world." The tangible benefits of attending education programmes are obvious - even more so when elite figures like Sir Alex Ferguson, or those from unorthodox backgrounds, are delivering them. New ideas, fresh perspectives, confidence and connections are just some of the reasons to attend, no matter how seasoned the career. But for Hytner, perhaps the most vital quality that can be gained from attending courses is more subtle. "The single most important thing I learnt is humility," says Hytner. "Sitting in a classroom and taking in the wealth of experience from other industries and people with completely different backgrounds really hits home. You think to yourself: 'I don't wear the captain's armband, I don't have a PA and, forget the car parking space, I'm in a classroom and I'm only as good as the questions I ask of other people in the room'. That's invaluable." 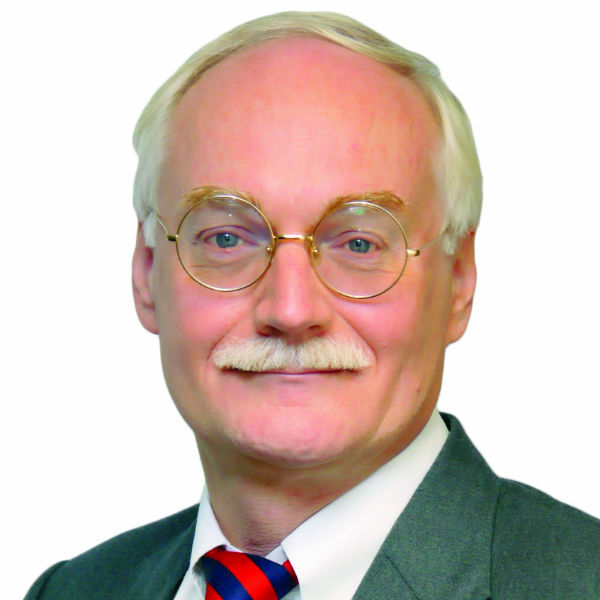 With a career spanning 25 years as an educator and pioneer in the globalisation of education, Professor Maurits van Rooijen became rector and CEO of London School of Business and Finance (LSBF) in 2012. He holds a PhD in Green Urbanisation, and is a fellow of the Royal Society of the Arts (London). 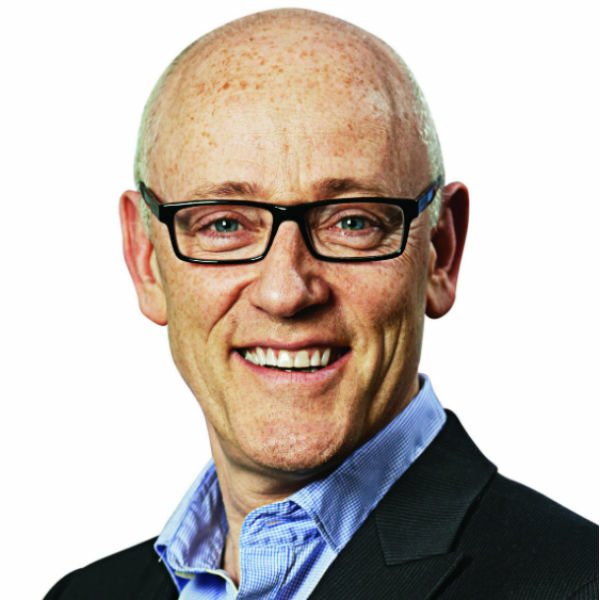 As deputy chairman, Saatchi & Saatchi Worldwide and adjunct associate professor of marketing LSBF, Richard Hytner works with leaders across the world. His book, Consiglieri: Leading from the Shadows, celebrates the craft of seconds-in-command. He co-founded the Manchester United Supporters’ Trust.